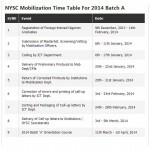 This year NYSC 2012 Batch C orientation programme for National Youth Service Corps time table has just been released. The main camping exercise is stating on 6th November, 2012 and ending by 27th November 2012. All the prospective corps members are expected to be familiar with this notable date for their service year. As the current 2011 Batch C is currently warming up to wind up their service year in October 18th 2012. 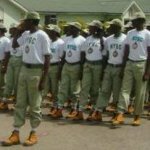 The purpose of NYSC is primarily to inculcate in Nigerian Youths the spirit of selfless service to the community, and to emphasize the spirit of oneness and brotherhood of all Nigerians, irrespective of cultural or social background. The history of our country since independence has clearly indicated the need for unity amongst all our people, and demonstrated the fact that no cultural or geographical entity can exist in isolation. Submission of Masterlist. Screening/Vetting by Mobilization Officers. Action by the Computer Centre. Get prepared for those things you might be needed at the orientation camp now! If you want to know how to find your way to where you’re posted? You can visit this link to see how you will navigate your way to your respective camp. 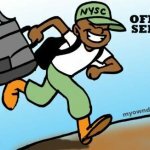 For information on what you will be needed at the NYSC camp please read it all here on the needed information. Carry as much passport photograph as possible to the camp, some like like 30 passport photo is not too much, don’t let photographer in the camp eat your money finish because of passport photograph. I wish you all successful camping orientation exercise!